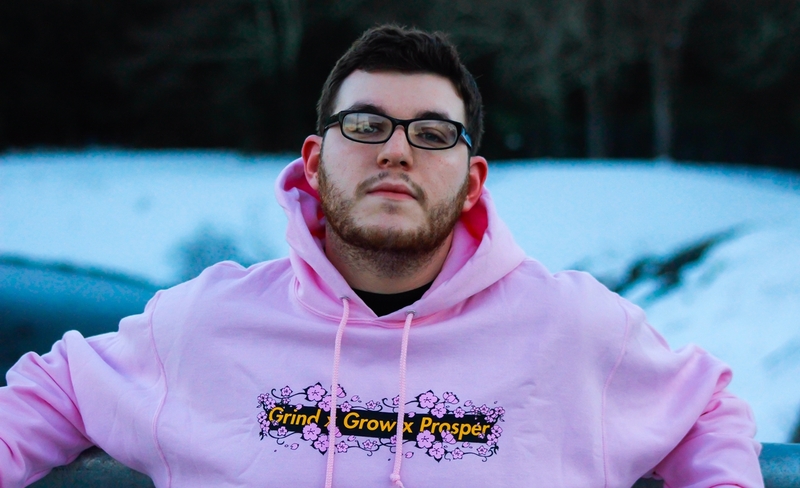 I'm a huge fan of hip-hop, one day immersed in Spotify I listened to the talent of JBreezo and I decided to interview him. His song 'Just Like That' seems incredible to me, in fact, it should be part of the list of top hits. You don't believe me? You can play it above or add it to your favorite playlist here. With JBreezo begins a new stage in the interviews of the blog, I was used to doing only interviews in Spanish but now we will know a lot of talent in English. Get comfortable, play 'Just Like That' and enjoy this cool interview. 1) Why the name JBreezo? So, I struggled for quite some time trying to find a name that stuck. My Initials are JB and my name just use to be “JesseB” but I thought “JBreezo” just popped more an still reflected on who I really am. 2) Where comes the passion for music? Man, it’s really something that’s always been there. I remember even back in 3rd grade I loved music class, as I got older I tried to learn how to play guitar because I was heavy into alternative rock and classic rock, and that just leads to songwriting. 3) Who inspires you musically? Mac Miller has always been a huge inspiration, mainly because I’ve watched him grow so much, he’s very versatile and really to me just has amazing content. Other than that my team around me is my biggest inspiration, we all strive to reach the same goals. 4) Since childhood, you dreamed of being a rapper? I mean sort of, it was more like just having something to do with music, I always felt like I couldn’t work some 9-5 job my whole life, and I just loved the sound and art of music so much, that’s what I was into right away. 5) Who composes your songs? Well us, and my engineer at the studio. 6) In this question, we invite you to create a playlist for Spotify. 7) What is your favorite album of the year? Why? Mac Miller: Swimming. Mainly because of how different it is from his last projects and it has HUGE replay value which means a lot to me. 8) How would you describe your creative process? It’s different that's for sure, as much as I hate working on multiple projects at once, I often find it easier to bounce between songs and pick at them, I never stress the thinking too much, I like to write after certain situations unfold, and after something that will spark my energy and emotions inside. I like to keep my writing as natural as possible. 9) Where is born the inspiration to write 'Just Like That'? 10) Where can we enjoy all your music?